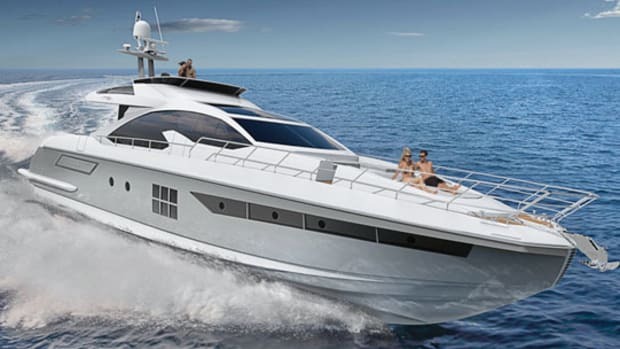 Our First Take: Azimut really does a good job with this line. 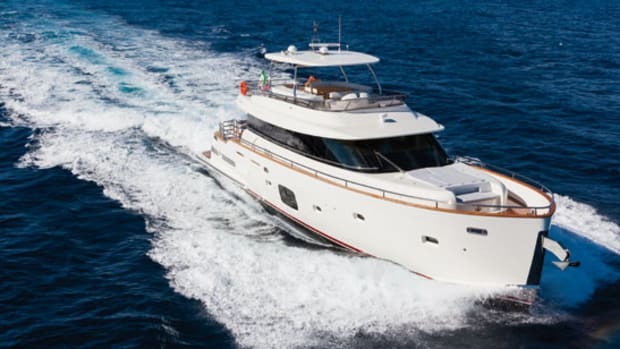 And with that adaptable hull and all the space a 76-footer affords, this Magellano should become a heavy hitter in the long-range cruising market. 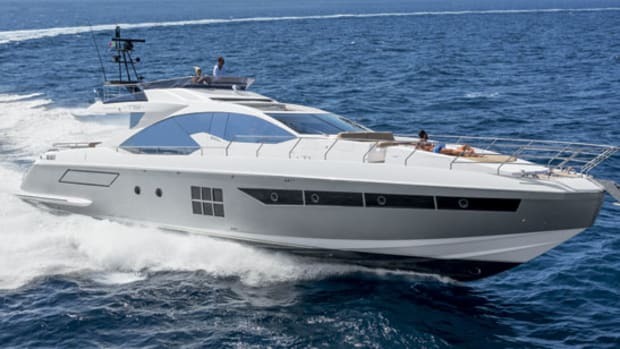 The Azimut Magellano 76 looks to be one hell of a versatile boat. 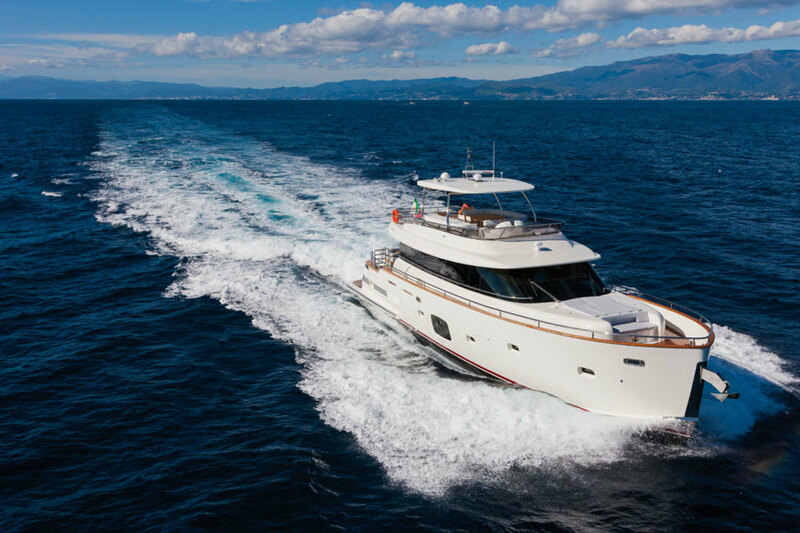 The Magellano line was of course launched back in 2009 with an eye to long-range cruising, comfort at sea, and the ability to cruise at varying speeds. It’s been a successful combination so far, and this new 76—which evolved from the original 74, which was the first Magellano—looks like it will fulfill those goals well. One of the neat little tricks about the Magellano line is that its boats have Dual Mode hulls. 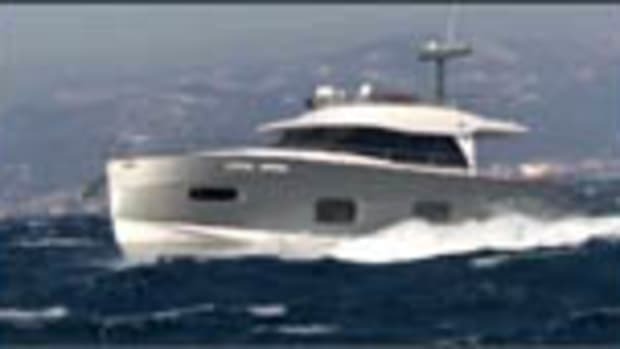 This means the hulls have rounded shapes along the keel line, and broad, hard chines that help the boat function well at both displacement and semi-displacement speeds (to the tune of a top hop of 22 knots). 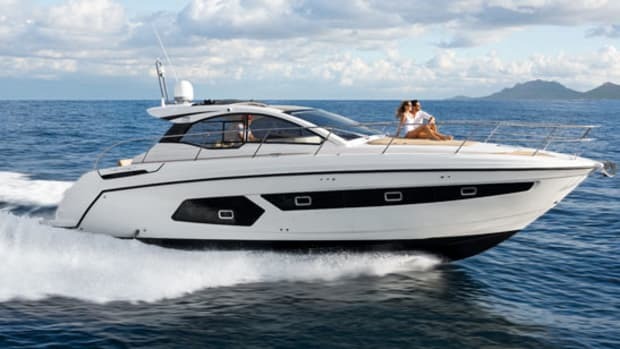 The ability to move both quickly and slowly means that you can cruise with high fuel efficiency, but also get a move on should the weather turn foul, somebody on board falls ill, or you just want to get into port on the double. It’s a nice option to have. 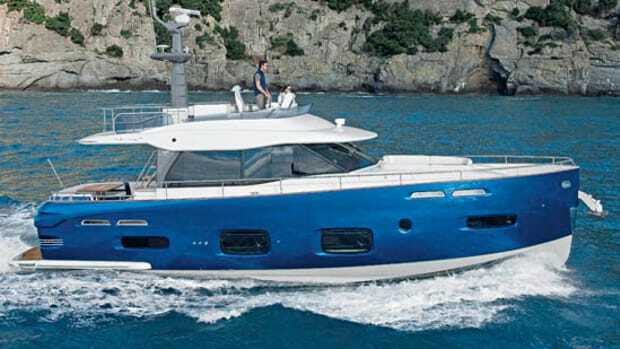 The boat will also be highly livable, as you would expect from a long-range cruiser. Down below she’ll have four en suite staterooms, as well as two aft crew cabins with a laundry area and crew dining area. 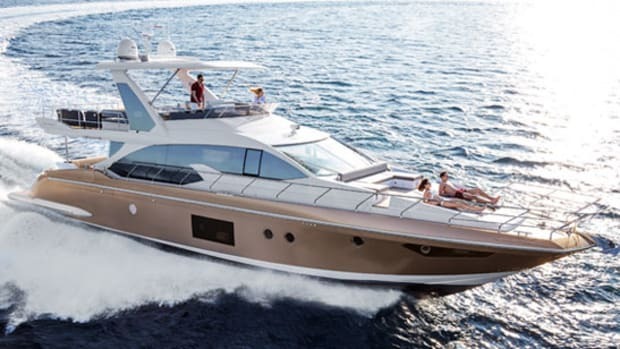 Canaletto walnut and rich Italian leathers are the standard on board and give the Magellano 76 an elegant and distinctly Italian feel, just as we’ve all come to expect from Azimut. 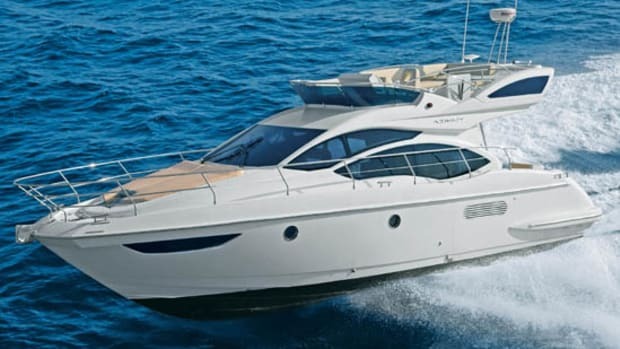 Click to see listings of Azimut Yachts currently for sale on BoatQuest.com.